In a saucepan, over med/low heat, combine butter and brown sugar. Stir frequently til melted together and sugar is dissolved. Add cranberries and walnuts. Remove from heat and let mixture cool slightly. 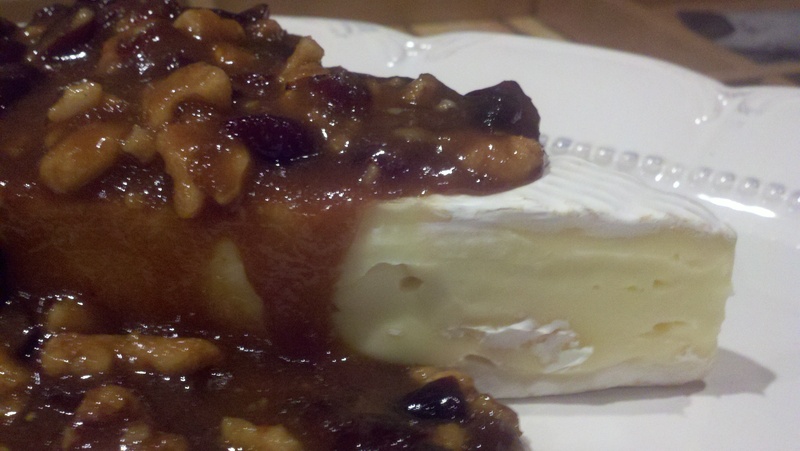 Pour overtop of brie wedge. Serve with crackers.